We offer various types of solvent or water based paints, thermo plastic in screed or pre form, 2 part epoxy and cold applied finishes. We also paint synthetic grass and rubber using specialized paint. Should you require lines removed we have the resources of using scarifiers, surface grinders, and water blasting. Using water blasting all waste water is encapsulated and re-used, therefore providing a dust free and clean work-site. We can also remove any unwanted paint or sealers by using our chemical delamination equipment. Ultra Linemarking offers you a quality linemarking result that suits your time frame & meets budget. 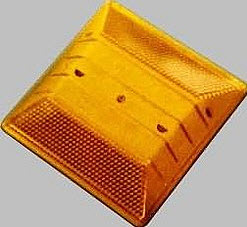 We also supply & fix raised pavement markers/Line o dots, post mounted signs, speed humps (in both recycled rubber or steel), together with wheel stops, traffic bollards & associated items. We are based in Sydney’s west but certainly not limited to just Sydney and travel to most areas of New South Wales. We understand that quality linemarking is not always available therefore we are constantly travelling to satisfy your needs wherever you are in NSW. For further information please call us on 02 4721 4833. Ultra Linemarking provides line marking in various types of solvent based or water borne paints. Line marking can be applied to car parks, school playgrounds, sports courts, civil construction, factory & warehouse and smaller road maintenance projects. Ultra Linemarking lay preformed thermo plastic in various forms such as holding lines, directional arrows, letters, numerals and icons. More info on Ultra Linemarking’s line marking. The speed hump component is manufactured from recycled rubber material helping our environment. With traffic calming devices made from rubber, noise is significantly reduced. Our recycled rubber speed humps provide ease & versitility when being installed and can be applied to undulating surfaces. This allows the entire speed hump to flow with minor surface variations as they occur. However, the product is best installed on a level surface. So why not choose Ultra Linemarking to install your speed hump today. All work carries our performance guarantee. Click here for more info on recycled rubber speed humps. Our range of bollards are constructed from steel, galvinised & have yellow powder coated finsh. Bollards are offered in a varity of designs & intallation options. All items can be supplied & fixed or supplied for you to install. We offer various types of rubber or concrete wheel stops to cater for any of your needs. Our rubber wheelstops are lightweight and will not crack, warp and are extremely easy to handle and will save you money in transportation costs. We supply & fix pole mounted signs for all applications. 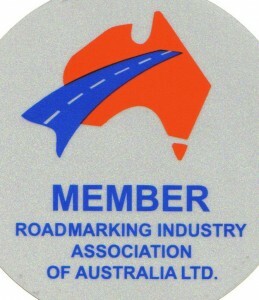 Traffic, carpark & safety signage available. Reflective Raised Pavement Markers are be installed with bitumos adhesive in both mono or Bi reflective surfaces. They are available in various colours such as white, yellow, red and blue. Lines & markings removed by machine grinding, sand blasting or blackout with paint. Ultra can offer you the complete linemarking package. From linemarking, speed humps & wheelstops – let us come to you and give you the best possible package to refresh your car park. A vibrant colourful playground full of physical interactive activity can help to alleviate boredom in the playground. Boredom can be one of the main influences of bullying – so providing the children with can help to eliminate the issue in your school.